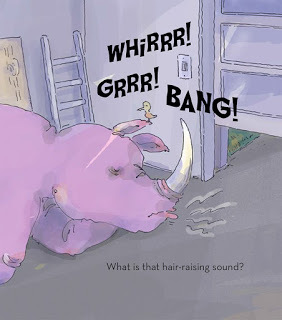 Booktalk: What’s that sound? Starting with a simple question, My House Is Alive! 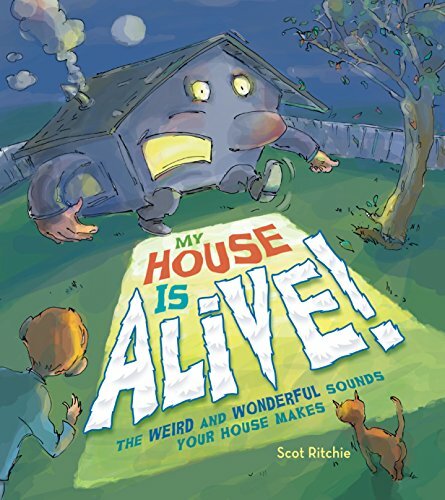 takes readers on a tour of the basic inner workings of a house and explains the scientific reason for the knocks, thumps, bangs, and booms we hear. Two spreads are devoted to each scary sound: the first shows the source of the noise as imagined by a small boy — a monster, giant insect, or other wacky creature — and the second explains the reality behind it. The garage door can make a lot of noise. The door’s motor is attached to a chain. It pulls the chain one way to open the door and the other way to close it. Push a button and — presto –the door rumbles open! 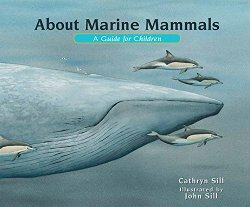 Swim on over to Growing with Science blog where we are highlighting the newest edition to the About… series by Cathryn Sill and John Sill: About Marine Mammals: A Guide for Children. The Sills are a talented couple who have been collaborating on books in the award-winning About… series and the About Habitats series. If you have seen their work before, you know what to expect. John Sill’s gorgeous watercolor illustrations catch the readers’ eyes. Then they turn to Cathryn Sill’s clear, uncomplicated language. In remarkably few words she explains the scene and draws readers into it. The “Afterward” in the back matter contains more detailed information about each of the previous scenes with a paragraph about each next to thumbnails of the illustrations. For example, did you know polar bears can be considered to be marine mammals? They swim between blocks of floating ice looking for other marine mammals such as seals. Booktalk: Feeding time is one of the most popular events at zoos. It also prompts a smorgasbord of questions: what do different animals eat? How much food do they need to stay healthy? Where do zookeepers get all that chow? And what constitutes a special treat? 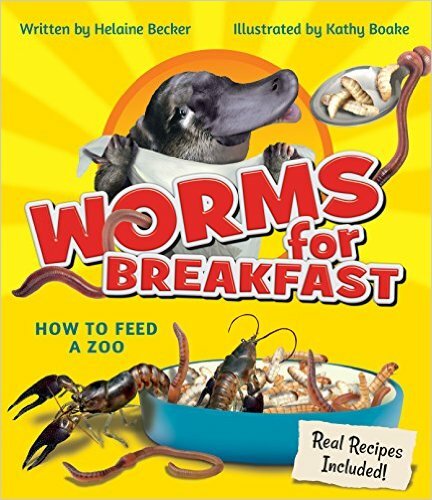 Worms for Breakfast answers all these questions and more in a cookbook-style primer packed with facts from experts at zoos and aquariums. Covering everything from regular animal nutrition to feeding babies to mimicking how animals hunt and eat in the wild, this book explores the eating habits of carnivores, omnivores, herbivores, and insectivores. Inside, you’ll also find real-life recipes from zoos around the world for meals like eucalyptus-leaf pesto, kelp tank goulash, and mealworm mush. Beware! You probably don’t want to eat any of it yourself. 1. Place bone in water and store in freezer until water is frozen solid. 2. Remove ice (with bone) from bucket. It is now a predator popsicle! 3. Float popsicle in the tiger’s enclosure pond, like an iceberg. Watch tigers study, fetch, lick, gnaw, and play with their frosty treat all day long. Booktalk: Dogs do it. Birds do it. Even stinky skunks do it! Keeping your body clean is one of the most important ways we all get along. 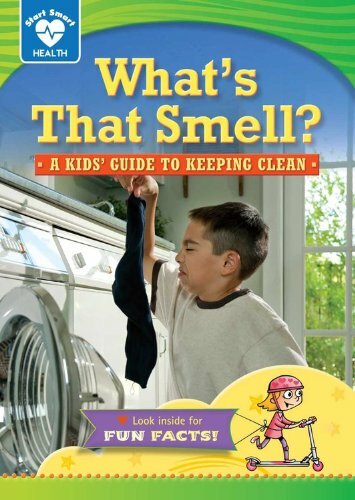 Learn why it’s important to your health, and the health of others, to stay clean and cut down on the stink! These tiny bugs live in dust. They are picky eaters. What do they eat? Your dead skin! As your skin flakes off, dust mites are ready to eat. They leave waste droppings behind as they eat. The droppings are dust mite poop. It gets into the air and can make people with allergies sick. Achoo! 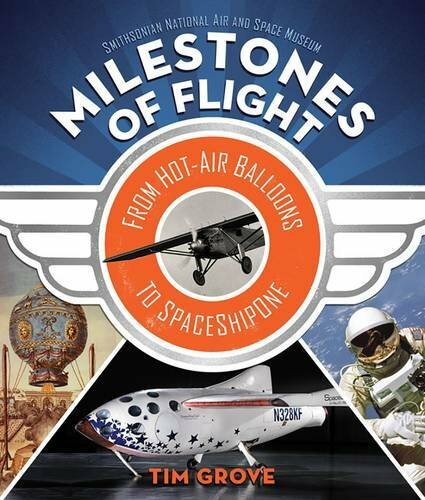 Booktalk: Profusely illustrated with objects from the Smithsonian’s collection, Milestones of Flight takes readers through the high points of American aviation: from the Wright brothers and their competitors to the military pilots who first circumnavigated the globe, from the initial space rocket to the moon walk, from the earliest manmade satellite to today’s spy drones. The book also describes what inventions—such as rocket propulsion, the wind tunnel, and the silicon chip—helped move flight upward and beyond. Snippet: On July 20, 1969, Neil Armstrong became the first person to set foot on the Moon. He uttered the immortal words: “That’s one small step for [a] man, one giant leap for mankind.” An estimated 500 million people around the world watched him on television. BONUS! See the Smithsonian’s National Air and Space Museum exhibits online. Booktalk: Cougars, Panthers, Camels, and Mosquitos. What do these animals have in common? 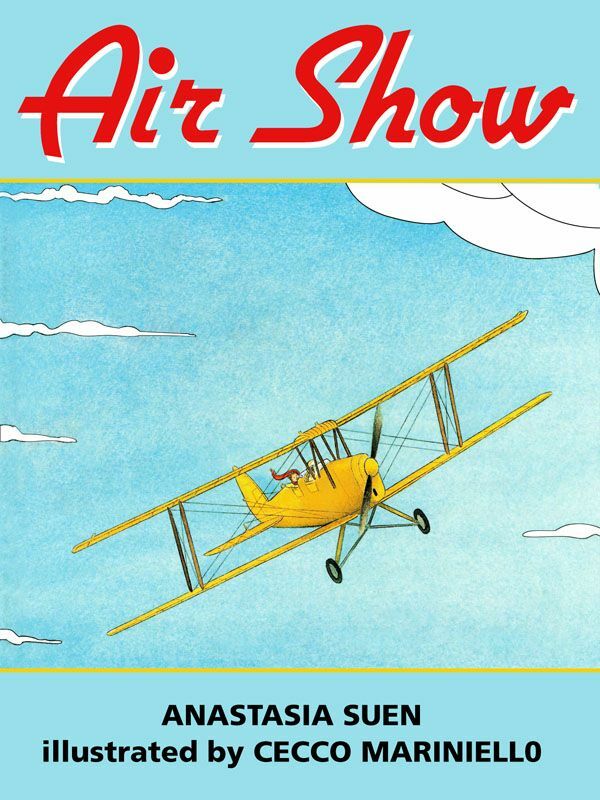 Their names identify the historic airplanes that take flight at this spectacular air show event. Up above . . .
Eagles fly . . .